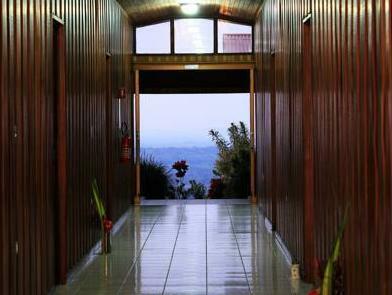 ﻿ Best Price on GreenLagoon Wellbeing Resort in La Fortuna + Reviews! 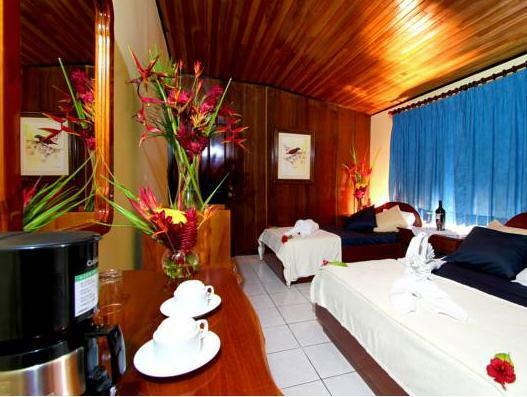 Located 5 minutes’ walk from La Fortuna waterfalls and 3.7 mi from La Fortuna Main Square, this eco-friendly hotel features a swimming pool, a garden, massages service and free Wi-Fi throughout. The villas and rooms offer tropical décor with wooden furniture, air conditioning, wardrobe, coffee maker and a bathroom with hairdryer. The villas also feature a kitchen with stove, microwave, fridge and dining area. Guests at GreenLagoon Wellbeing Resort will enjoy regional dishes and international cuisine at the on-site restaurant. Hiking tours to La Fortuna Lagoon can be arranged as well. GreenLagoon Wellbeing Resort is 2 hours’ drive from the Juan Santamaría International Airport and 2 hours and 30 minutes’ drive from the San Jose Capital City.